The Honeywell Chainexium Chainmail Glove - Long Cuff is from the Honeywell Chainexium cut and puncture protection range. 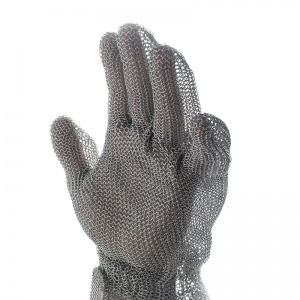 Made from 100% stainless steel (AISI 316L 0.5mm) the Honeywell Chainexium Chainmail Gloves - Long Cuff is ideal to be used within the food industry when dealing with cutting or punching tools. 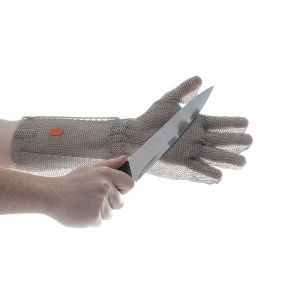 These gloves will offer cut and stab resistance to the hand of a user and the glove is specifically designed for the food industry. 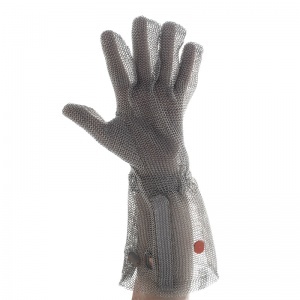 Arriving with a self-adjusting spring, the Honeywell Chainexium Chainmail Glove - Long Cuff will provide exceptional comfort to the user due to the natural elasticity of the strap. The glove will mould itself to the hand without the need for clip-on or any other type of closure. 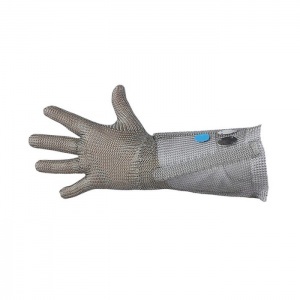 There are no spare parts for this glove so the maintenance of this glove is easier to manage and with stainless steel as the material it is bacteria-proof and easy to clean. The use of steel with a shape memory also results in perfect resistance to stretching over a long period of time. Unlike the standard Chainmail Glove, this glove arrives with a short cuff offering the user increased protection for the wrist area. With an emphasis on protection and durability the chainmesh of this glove significantly reduces the number of repairs compared with what is generally recorded on the market. When deciding on sizing for the Honeywell Chainexium Chainmail Glove - Long Cuff you will need to decide the length of glove that will best fit with your hand size. If you measure the length of your tallest finger to the point at which your hand meets your arm it should help you decide which size you fall into although please bear in mind the cuff length which does not cover your hand. If you are unsure please contact us. To ensure optimum protection, ChainExpert gloves should be kept in perfect condition for use. At least once a day, they should be scrubbed vigourosly with hot soapy water (50 degrees) or in a mixture of hot water and detergent. 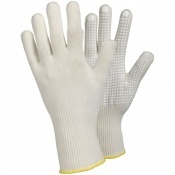 Each glove is sold individually and this glove is designed to be used on both hands with equal dexterity.